One of a kind home with all the quality of being built by Landmark Homes! This home is loaded with platinum upgrades and is suited for any growing family. Laminate, tile, quartz counter tops throughout, soft close cabinetry, to the ceiling cabinets, smart ecobee thermostat, 9’ ceilings on the main floor & a DOUBLE GARAGE are just some of the many features of this home. Stepping through the front entrance you are welcomed into stylish and open concept living. The kitchen is a focal point and has a 7’ quartz island and plenty of cabinet space! Upstairs you will find a large master bedroom and the 4 piece master ensuite is an oasis that offers a little getaway. Landmark builds exceptional, quality homes that focus on sustainability and efficiency. These features will keep your utilities low. Excellent location as you are minutes to shopping, groceries, walking trails, restaurants and the Whitemud and the Henday! 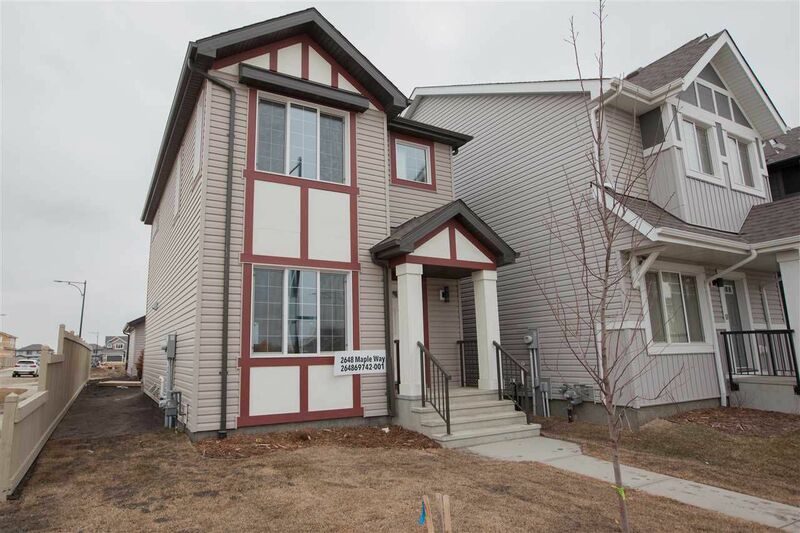 Do not miss this opportunity in one of Edmonton’s most sought after communities!